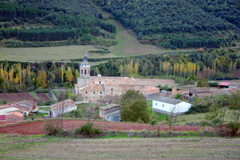 La Rioja, lying along the south of the Ebro River in the north of Spain, is a small but fertile area. Plenty of water flows through its fabled “seven valleys” (though in truth, there are more than seven) making the area lush and green. 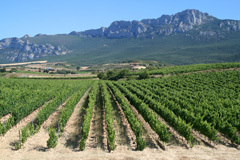 Viticulture dominates the life and landscape of this region, which is the country’s undisputed wine heartland. 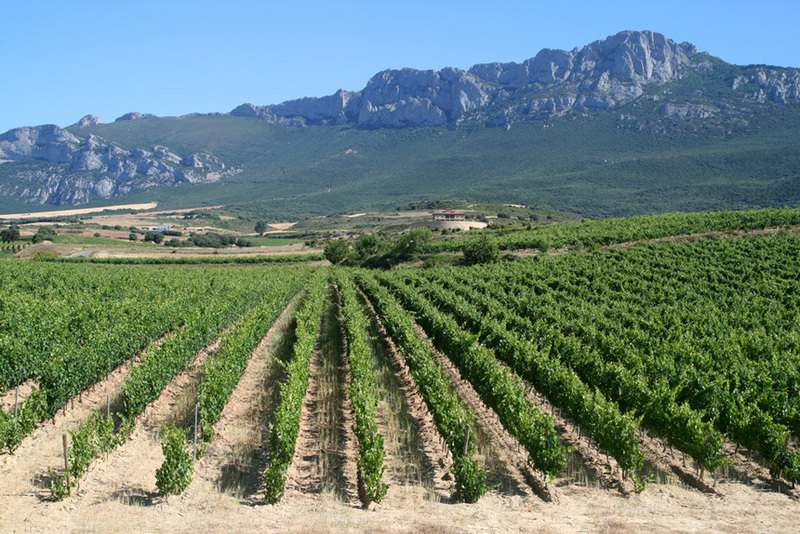 At only about 5,000 square kilometers, La Rioja comprises just one province. Its capital, Logroño, is the area’s largest city, but it’s on the small side, too, with only around 150,000 inhabitants. Other cities, including Nájera, Calahorra, and Arnedo, are even smaller. Half of La Rioha’s municipalities have fewer than 200 registered residents. If you’re looking for bustling metropolises, keep moving. Most of this small province is dedicated to the wine industry, though there is some history of textile and shoe production as well. Like most of the surrounding area, this territory was home to pre-Roman tribes back in ancient times. Under Roman rule it was part of the Hispania Taraconensis (from which the modern city name of Tarragona in Catalonia). The Romans made good use of the fertile land, establishing the area’s viniculture during this period. The Celtiberians first settled here in the fourth century. 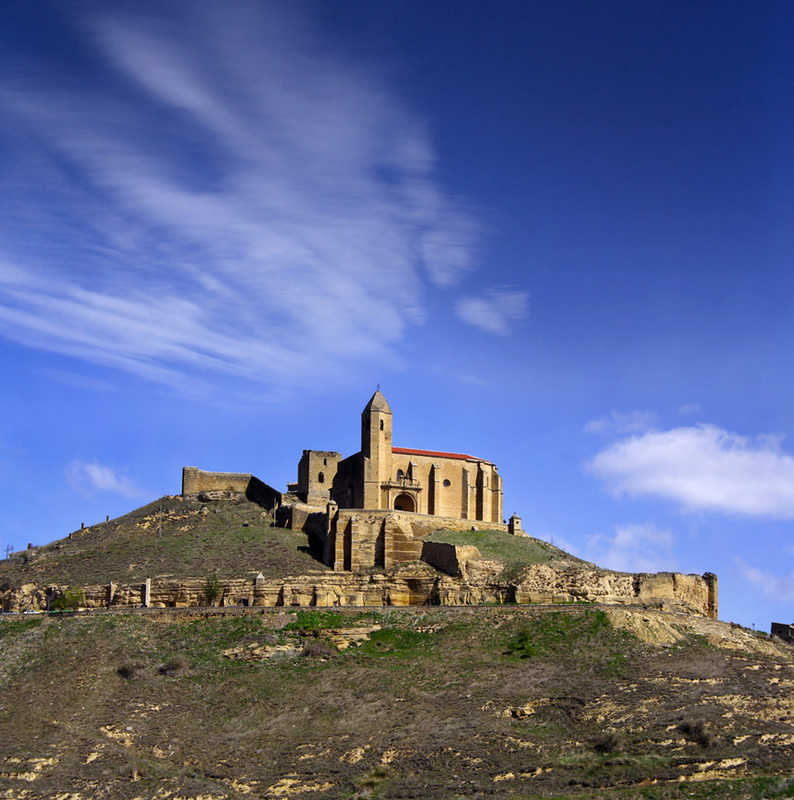 In the eighth century the area was conquered by the Moors, signaling the temporary end of the region’s winemaking. Winemaking began a revival in the early 11th century when the Crusades brought Medieval Christianity and a renewed emphasis on trade to the region. The Benedictine monks of Cluny in Burgundy, known for their viticulture, helped to establish three monasteries in the area. Part of the ancient pilgrimage route, the Camino de Santiago, which funneled pilgrims from all over Europe to the shrine of St. James at Santiago de Compostela in Galicia, runs through the north of the province, touching on Nájera, Logroño and the beautiful church at Santo Domingo de la Calzada. For most of its history La Rioja was shoved around among neighboring powers, used as a buffer against the Basques, or briefly established as a small independent power. The boundaries of the province as it exists now were established in 1822, but it was only named La Rioja officially in 1980. It’s impossible to overstate the importance of grapes and wine to La Rioja, both historically and in modern times. One visible result of viniculture’s dominance here shows up in winery design. Some of the world’s (and of course Spain’s) best modern architects have designed the region’s great wineries, along with their associated shops and hotels. Most famously, Frank O. Gehry created a swirling metallic masterpiece for the Marques de Riscal hotel-bodega, Spain’s Santiago Calatrava desiged the Ysios winery, Iraqi architect Zaha Hadid gave a modern touch to the very traditional Lopez de Heredia winery’s shop, Gustave Eiffel’s studio built part of CVNE’s cellars, and the Baigorri and Darien wineries are modern Spanish marvels. Along with all the typical Spanish festivals, those associated with wine harvests, or vendimia, are especially important here. The harvest or San Mateo festivals in September are linked to a sort of thanksgiving for the year’s wine harvest. The locals kick off a week of celebrations that features, of course, the imbibing of lots of wine, including the sangria-like drink known as zurracapote, served from the traditional narrow-necked Spanish porrón designed for easy pouring into open mouth. Groups of reveling friends who go about the festivities together drinking and offering drink are known as chamizos. Along with the wine, there’s the corresponding food – the so-called Gastronomic Week falls during the fiestas – as well as parades, fireworks and sporting competitions (in particular a tournament of pelota vasca, a handball game of Basque origin). The patron of Logroño is not, however San Mateo but San Bernabé, whose fiestas fall in June. The Patroness of the city is La Virgen de La Espeanza and her day, which falls on December 18 is tied in with Christmas celebrations. 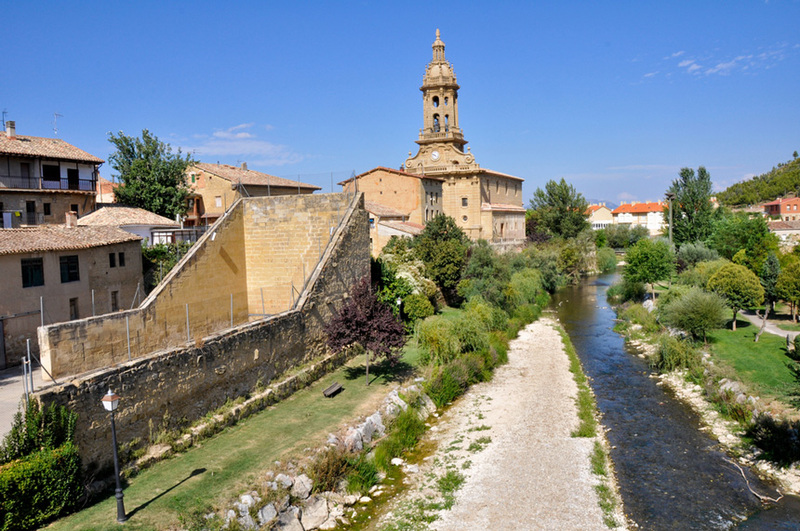 Though in medieval times, the pilgrimage route to Santiago de Compostela brought people from all over Europe through this province (and still brings some who travel it today, mainly as tourists) the immigrant community in La Rioja is negligible. There are about 30,000 foreign born residents registered for the whole region. If you want a deeply, thoroughly, Spanish place, this may be it. The economy of La Rioja is definitely dominated by the wine industry, so something related to wine is your best bet for finding employment. Some expats have been known to make a living working with wine tours organized for foreign visitors. If you’re a history, wine or architecture buff who loves the country, perhaps nothing could be more perfect. Anything else, such as the typical expat jobs of English teaching or being an au pair, will be hard to come by. Since the region isn’t very international, a high level of ability to speak and understand Spanish will most likely be a must. If you’re looking to improve your Spanish, and are worried that time in a city will mean you can rely too much on international residents as a sort of linguistic crutch, taking a foray into areas like this can be just the thing a serious Spanish learner wants. The green rolling hills, great wine and the great food that so naturally comes with great wine make La Rioja a choice for someone who’s looking for the quiet, country life. Due to its mainly agrarian landscape as well as its national park and various mountain ranges, La Rioja lends itself to nature-lovers, hikers, horse lovers, golfers, anglers and hunters, and even skiers, as there are some snow covered slopes, such as those of the Valdezcaray resort. The local government of La Rioja is making a real push for eco-tourism as well. Compared to such big Spanish cities as Madrid or Barcelona, the cost of living in La Rioja is considerably lower. A two-room apartment in Logroño may cost €500 to €600 a month, a studio between €300 and €500. Food and basics are affordable as they are in most of the country, and even though it’s the wine capital, La Rioja is unpretentious about its native industry. It’s not unusual to find a glass of Riojan house red for under a euro. As for transportation, getting around the countryside will require that you have a car. There are municipal buses that connect Logroño with nearby municipalities, taking 20 to 45 minutes depending on the trip, and various bus companies run routes throughout the province, Logroño, of course, being a major hub. A train line runs through the north of the province, and there’s an airport about 15 kilometers outside of Logroño.